The conference attracted 200 students from over 10 high schools across San Diego and Orange County. 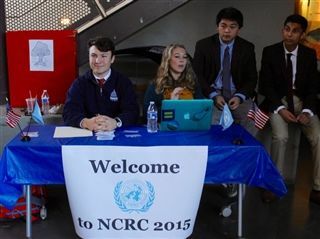 True to its unique tradition, the NCRC put a creative spin on committees to provide original, unconventional scenarios for the delegates' diplomatic work. This year's committees included the Hunger Games, Greek City-States during the Peloponnesian War, and a Joint Committee featuring the campaign managers of the 2016 Trump and Sanders campaigns. The conference was a huge success, and the delegates rose to all of the atypical challenges thrown at them.